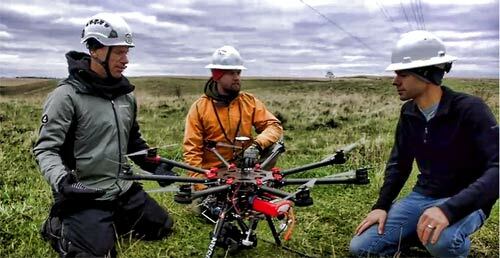 The National Association of Tower Erectors (NATE) today unveiled an Unmanned Aerial Systems (UAS) safety video as part of Volume 2 of the popular Climber Connection series. The UAS Operations video was showcased by NATE during a main stage presentation at the 2017 Drone Focus Conference in Fargo, N.D. The 2017 Drone Focus Conference is a prominent annual gathering of commercial UAS enthusiasts from throughout the United States. U.S. Secretary of Transportation Elaine Chao, U.S. Senator John Hoeven (R-ND) and North Dakota Governor Doug Burgum all attended and participated in the event. The NATE UAS Operations video shines a spotlight on the important role that drones are playing in the communications tower industry. The video also provides a detailed overview on the best practices associated with conducting drone operations at a tower site, the current regulatory environment governing commercial drone operations and the industry resources available to UAS operators to ensure that these activities are performed safely and efficiently. Additionally, the video includes breath-taking aerial footage of a tower crew utilizing a drone at a tower site. “Drones are changing the game in the communications tower industry from a safety, quality and efficiency perspective,” stated Jacob Cowart from Phoenix Tower Service, LLC in Horton, Kan. “NATE’s UAS Operations video is a great resource and a must-watch for everyone working in our industry,” added Cowart. Click HERE to watch the UAS Operations safety video. 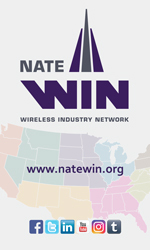 NATE encourages tower climbers and all wireless and broadcast industry stakeholders to actively participate in this campaign by posting the UAS Operations video on their respective social networking platforms using the hash tag #ClimberConnection. NATE also encourages tower climbers to share their personnel hoisting safety tips through social interaction on the Association’s Facebook and Twitter pages.